H.W. #2- due Thursday, 9/13. Complete: Book of the Courtier by Castiglione located in 1st semester documents tab. H.W. #3- due Friday, 9/14. Complete: The Prince by Machiavelli located in 1st semester documents tab. * This assignment will be collected and graded. H.W. #4- due Tuesday, 9/18. 1) What enabled merchants to patronize the arts so heavily? 2) What motivated patrons of art? 3) To what extent did a secular and urban culture facilitate the development of Renaissance art? 4) How did art transform during the Renaissance? 5) To what extent were women able to participate in the Renaissance? 6) To what extent does Renaissance art exhibit the characteristics of humanism? H.W. #5- due Thursday, 9/20. Complete: Notebook update. Do you have the following? 1) Does each day's lesson have the date, correct AIM, questions, etc. that were required to be entered into your notebook? 2) Are your graphic organizers (that you may have copied at home) in the correct lesson? Aim: What are the major characteristics of the European Middle Ages? Components: Middle Ages graphic organizer and focus questions. Aim: How did a revival of Greek and Roman history cause a social and religious transformation in Europe? Components: Humanism graphic organizer and focus questions. Aim: What enabled the development and dissemination of the humanist philosophy? Components: Development and dissemination graphic organizer, humanist thought timeline. Aim: To what extent did Renaissance humanism impact political traditions in Europe? Components: Machiavelli graphic organizer, focus questions. Aim: To what extent was the Medieval European world transformed by Renaissance? Aim: To what extent did Italian Renaissance art exhibit humanist qualities? Components: Characteristics of Italian Renaissance art, focus questions, Renaissance art timeline. H.W. #6- due Friday, 9/21. Read: 369-373 (Start at Christian Humanism and stop at Art and the Artist) and today's handout on the Northern Renaissance. H.W. #7: due Monday, 9/24. Complete: Questions included with reading. *Please complete this assignment in your notebook with proper heading. Thank you. H.W. #8- due Tuesday, 9/25. *Please complete this assignment on looseleaf! H.W. #9- due Wednesday, 9/26. Complete: The SAQ below on looseleaf. a) Identify and explain one way in which the painting above exhibits artistic trends of the Italian Renaissance. b) Identify and explain one way in which the painting above exhibits characteristics of humanism. c) Identify and explain one way in which the painting above is different from Medieval Art. H.W. #10- due Wednesday, 10/3. Complete: Primary Source 13.1 on page 396 in your notebook. * This homework is very important for understanding tomorrow's class. H.W. #11- due Thursday, 10/4. Read: Catch up on your reading. Complete: Notebook update- today's presentation was AP European #10. H.W. #12- due Wednesday, 10/10. Complete: Hillerbrand and Elton documents on the back of today's notes. Period 8: Complete what you and your partner decided. H.W. #13- due Thursday, 10/11. Complete: Luther and Peasants document on back of today's notes. H.W. #14- due Monday, 10/15. Read: 411-413 ( Start w/ Calvinism and stop at the Reformation in E. Europe). Complete: Charles V file below on looseleaf! H.W. #15- due Thursday, 10/18. H.W. #16- due Friday, 10/19. H.W. #17- due Wednesday, 11/7. - Describe and explain one political similarity and one political difference between the Middle Ages and era of New Monarchs. H.W. #18- due Thursday, 11/8. Complete: The document below and answer questions in your notebook. *Also: Copy your thesis statement (HW17) onto looseleaf paper and turn it in tomorrow. H.W. #19- due Wednesday, 11/14. H.W. #20- due Thursday, 11/15. Complete: Jared Diamond video analysis. Turn in on loose-leaf tomorrow. H.W. #21- due Tuesday, 11/20. Complete: Finish Dutch commerce handout. H.W. #22- due Wednesday, 11/28. Read: 462-469. Stop @ Absolutism in France and Spain. Please, actually read the textbook. 1) The document below. It is also on the back of today's notes. 2) The column on the right from today's chart. H.W. #23- due Thursday, 11/29. Read: 489-496 (Stop @ Dutch). Don't Forget: You should be reviewing your focus questions! H.W. #24- due Monday, 12/3. Complete: Stuart Monarchy graphic organizer from the back of 11/29's notes. Make sure to leave some room for correcting your work during our review. Keep working on your focus questions. H.W. #25- due Thursday, 12/6. Complete: Stuart Monarchs organizer. Also, bring a different color pen to class tomorrow. H.W. #26- due, Friday 12/7. Read and Complete: Primary Source 15.5 on page 495. Please complete this assignment in your notebook. H.W. #27- due Wednesday, 12/12. Read: 469-478 (Stop at Absolutism in Austria and Prussia). Complete: The document below in your notebook with proper heading. Answer all questions and complete all tasks on the handout. H.W. #28- due Tuesday, 12/18. Complete: Read and make a graphic organizer representing Peter's reforms. Make sure to label each one for PERSIA. The center circle should be labeled Peter the Great's Policies of Westernization. Note: This is a rough draft- don't worry about it being perfect- we'll go over it in class and make a final version. Do a good job! H.W. #29- due Thursday, 1/3. Read: Pages 502-507 (Stop at the section about Kepler, Brahe, and Galileo). 1) What is natural philosophy? 2) What was natural philosophy based on prior to the Scientific Revolution? 3) What was the relationship between Aristotle's teachings and Christian doctrine? 4) What are the origins of the Scientific Revolution? 5) What is the relationship between natural philosophers and the belief in God? 6) What is the Copernican hypothesis? 7) How did religious leaders respond to Copernicus? H.W. #30- due Friday, 11/4. Read: pages 507-512 (Stop at Medicine, Body, and Chemistry). 1) How did both Brahe and Kepler contribute to the Scientific Revolution? 2) How did Galileo further advance our understanding of the universe? 3) What lingering question had natural philosophers failed to explain until Newton? 4) What historical document did Newton publish his findings in? 5) What was so significant regarding the law of universal gravitation? 6) How did Bacon and Descartes contribute to the Scientific Revolution? H.W. #31- due Tuesday, 11/8. Read: pages 516-520, stop at International Enlightenment. 1) What are the 3 central concepts of the Enlightenment? 2) How did the Scientific Revolution help cause the Enlightenment? 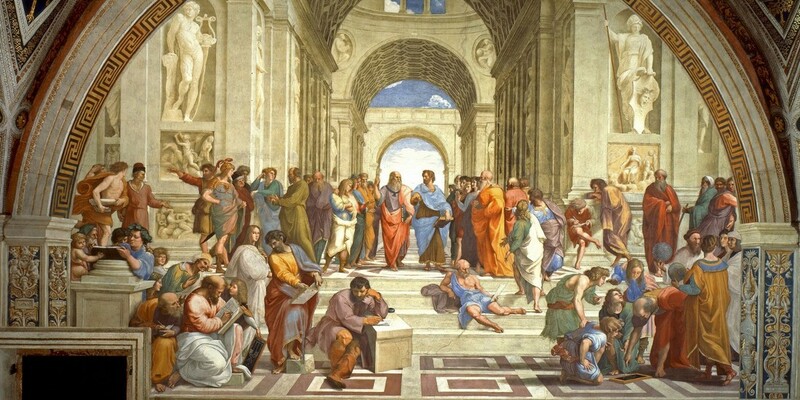 ​3) What is a philosophe? H.W. #32- due Thursday, 11/10. Complete: Questions from the document in your notebook. Complete: Document analysis for Glorious Revolution DBQ. H.W. #34- due Thursday, 1/31. Complete: Contextualization and thesis statement for Glorious Revolution DBQ. Use past and recent handouts from class for appropriate templates and phrasing. H.W. #35- due Wednesday, 2/6. Read: 610 (Actually start on 610) - 615 (Stop at The American Revolution). 1) How was 18th century Europe divided socially? 2) How did Enlightenment thought influence a new generation of political revolutionaries? 4) How were Britain and France impacted by The 7 Years' War? 1) To what extent did French participation in the American Revolution help cause a revolutionary atmosphere in France? 2) What does the textbook mean by the phrase "breakdown of the old order?" 3) Attempt a graphic organizer labeled "long-term causes of The French Revolution." H.W. #36- due Friday, 2/8. H.W. #37- due Monday, 2/11. Complete: First section of the French Revolution pie chart timeline. List all content vocabulary, events, terms, etc. associated with this first liberal phase. Make sure they're chronologically listed from top to bottom. Use pencil, write lightly, and make sure to have enough room. I'm thinking of 12 items to include. H.W. #38- due Tuesday, 2/11. Complete: Create a graphic organizer that exhibits the reasons behind the fall of The National Assembly. Use your textbook, our notes, and readings from class. Complete in your notebook . H.W. #39- due Wednesday, 2/13. 1) What was the purpose of Levy in Mass? 2) To what extent was the levy based on principles of the Enlightenment? H.W. #40- due Thursday, 2/14. Read: 636-640- Stop at Haitian Revolution. Complete: Handout on the back of today's notes AND update Pie Chart Timeline stopping at 1804. H.W. #41- due Friday, 2/15. H.W. #42- due Tuesday, 2/26. 1) What was the purpose of Metternich's "special representatives?" 2) Why would university teachers be removed from their jobs? 3) What is the press law? 4) Why are the Karlsbad Decrees considered an example of reactionary politics? H.W. #43- due Wednesday, 3/6. Read: 691-692 (Nationalism section); 701 (Greek Liberation section). a) Identify and discuss two examples of how the Massacre at Chios exhibits characteristics of Romantic art (Pages 694-699 have the details). H.W. #44- due Thursday, 3/7. Complete: Greek Revolution document and questions. H.W. #45: due Tuesday, 3/12. H.W. #46- due Friday, 3/15. Examine: Maps throughout the reading. Compete: A graphic web for: Cavour's use of realpolitik (3 examples) and Bismarck's use of realpolitik (4 examples). H.W. #47- due Wednesday, 3/20. Read (By Friday): Summary on 648, 650-661. Complete (For tomorrow): Answer the question on the handout by creating a graphic web. H.W. #48- due Friday, 3/21. Read: Finish reading assignment from H.W. #47. Complete: Malthus document. QUIZ ON MALTHUS TOMORROW WHEN CLASS STARTS. H.W. #49- due Tuesday, 3/26. Read: 667 (New Patterns of Working and Living) - 673. 1) Who was Friedrich Engels? 2) How does Engels describe the lives of industrial workers? 3) Why did the government take so long to address the conditions described by Engels? B) Graphic Web representing the impact of railroads on the development of industrial society. H.W. #50- due Thursday, 3/28. Complete: Russian industrialization handout from class. Review: Engels reading from H.W. #49. H.W. #51- due Friday, 3/29. Read: Catch up on textbook reading. H.W. #52- STUDY FOR MARXISM QUIZ TOMORROW.